Music by definition is an art of sound in time that expresses ideas and emotions in significant forms through the elements of rhythm, melody, harmony, and color. 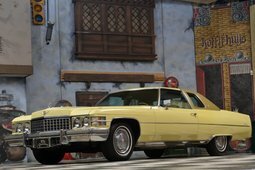 One can pretty much describe a classic Cadillac DeVille the same way: significant forms reaching lengths up to 5,86 m, harmonious lines ending up as tailfins at the back, as popular in solid black as in glamorous pink. All of the previous expressing the idea of unrestricted design, built not as a tool but as an excessive machine to be enjoyed. Cadillac's name is not coincidently borrowed from a French officer Antoine de la Mothe Cadillac, who founded Detroit in 1701. More than two hundred forty years later Detroit became known as music town or ‘Motown’, which is about the same time when the first DeVille rolled off the production line there. Mentioned in hundreds of songs the car has become an inspiration to many. 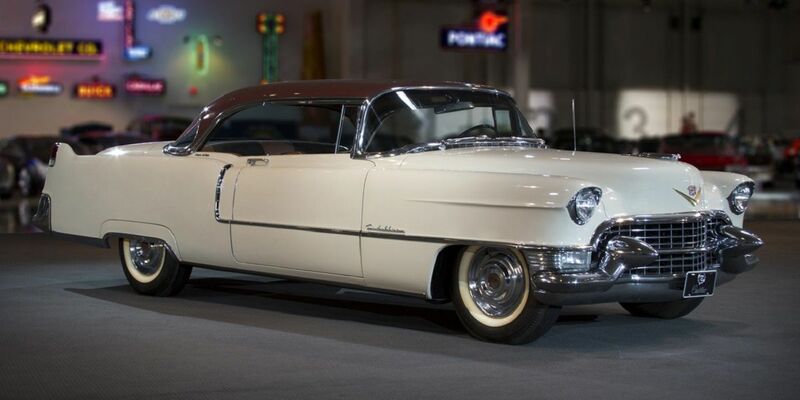 Even Elvis Presley himself during his lifetime bought about a hundred of Cadillac's land yachts. 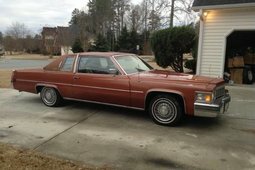 His favorite one is said to be a 1972 DeVille station wagon. 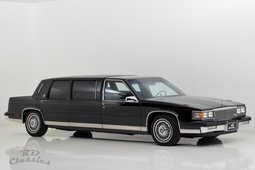 DeVille wagons were not on the original options list, it was a custom specially crafted for "the King". 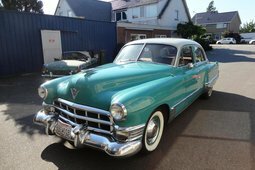 DeVille started out as a prestige trim level for Cadillac and the first model to get it was a 1949 Series 62 coupe. 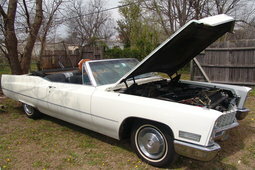 It came with power windows, leather upholstery, and chrome 'ribs' in the headliner as standard. While the name also sounds very luxurious it means a simple “for the town” in French. To this day no one knows which town exactly. Sales of the first year were not great with only 2,150 units, but they grew almost five times reaching 10,241 in 1951, which exceeded sales of the standard Series 62. Due to the increasing success, DeVille was made into a separate series in 1959. 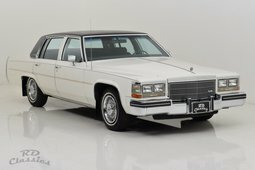 DeVille was one of the least sporty models in the Cadillac range. 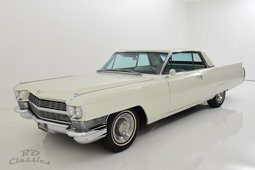 While they were equipped with ridiculous displacement engines like the 8.2-liter OHV V8, they developed only enough power to turn the a/c compressor and get the land yacht smoothly floating with the right amount of rumble. The performance is measured in smoothness rather than horses and torques, kind of like the older Bentleys were advertised. But if you're a not a Bentley guy the numbers for that engine would be 210 hp which would average about 9 mpg (~26l/100km) while moving the 4,900–5,400 lb (2,200–2,400 kg) car around. In 1954 General Motors chief designer Harley Earl said: "My primary purpose for twenty-eight years has been to lengthen and lower the American automobile, at times in reality and always at least in appearance". Not many are aware of his influence to today's stance car culture. 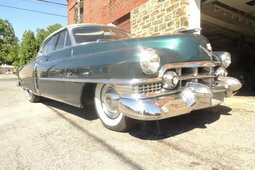 Yet maybe he's even more famous for designing the DeVille's fishtail fenders. The inspiration came from the Lockheed P38 Lightning pursuit plane. 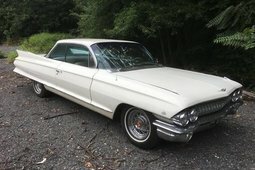 Not only did the fins caught on they even sparked a peacock-like competition between Cadillac and Chrysler over the size of them. Yet they did not have any other function besides looking good. 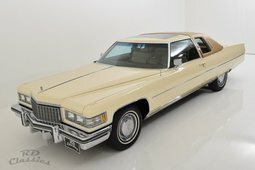 To be honest, the DeVille was not completely about the looks, it did have some futuristic features in the 1960s like an auto high beam dimming system to prevent blinding upcoming traffic, but the main selling point was the chrome, the fins, the size and the excessiveness. The DeVille continued up to 2005 when it became the DTS. Although by the time it got there it was front wheel drive, looking as flashy as a pair of blue jeans and resembled the classic ones as much as a Ford Mondeo. No surprise there, times changed so did the music and today there are different cars on demand. 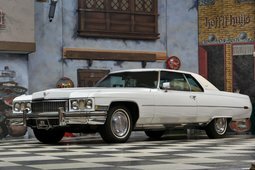 But for those who want to experience the 1950s America's wealth celebration in a form of Rock and Roll on wheels - a classic DeVille will serve perfectly. The celebration will set you back anywhere from 5000 to 90000 euros depending on how much originality and "tinkering" one would prefer. But expect to pay somewhere between 13000-20000 euros for a sorted 1960s-1970s one, 18000-40000 for a good 1950s model. Usually, the series 62 coupes and convertibles are the ones with the biggest price tags.